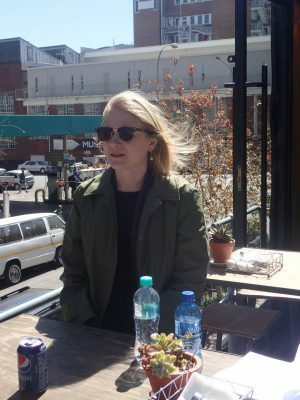 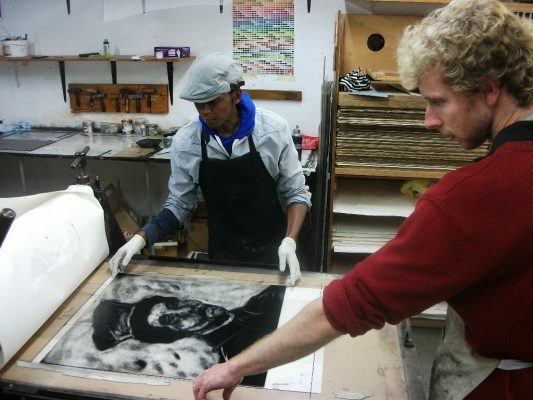 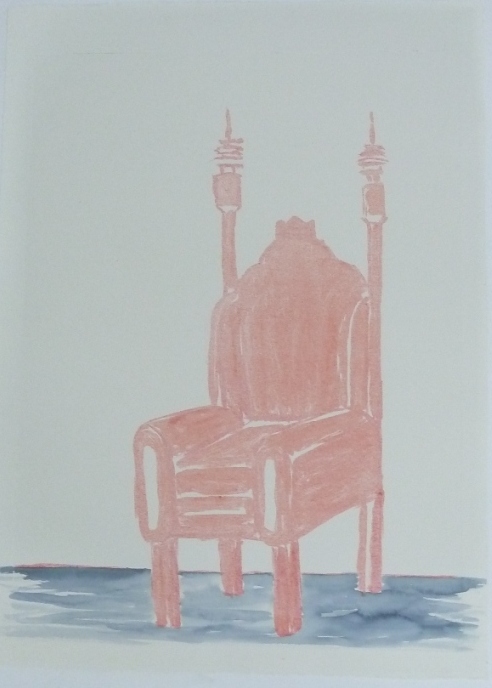 Senzo Shabangu began working on monotypes at the David Krut Workshop (DKW) at Arts on Main with printer Jillian Ross in 2010. 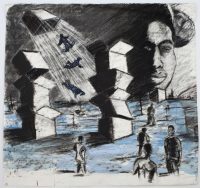 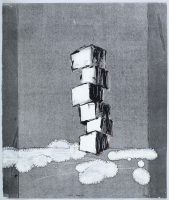 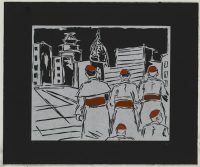 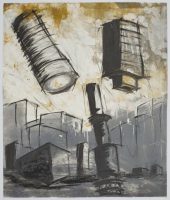 His monotypes explored themes of urban living and human nature. 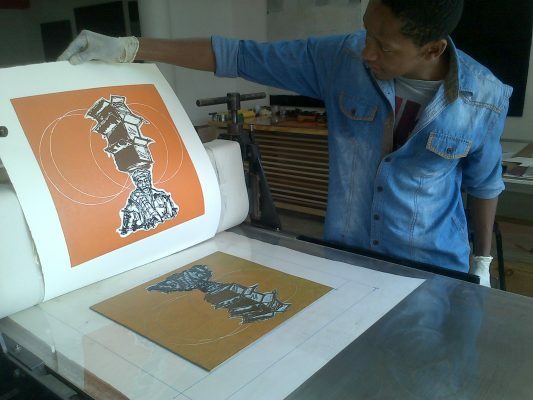 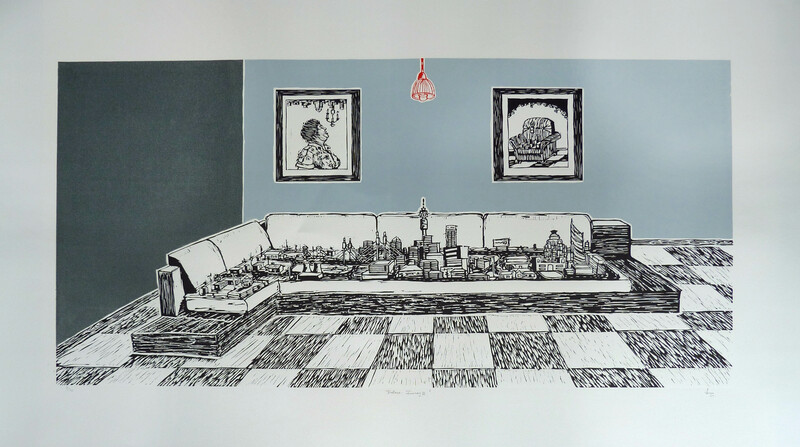 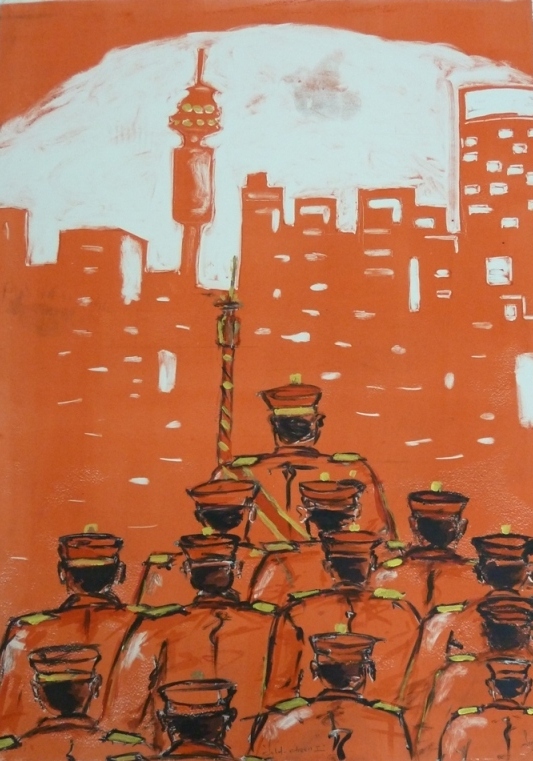 Shabangu moved on to making linocuts in 2011 at DKW Arts on Main and into the DK Workshop on Jan Smuts Avenue in July as an artist in residence in preparation of his solo exhibition, Naked Pressure. 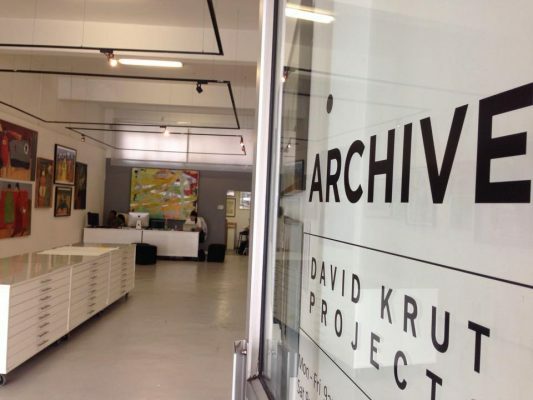 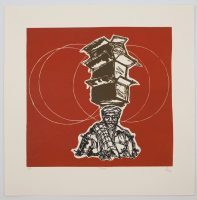 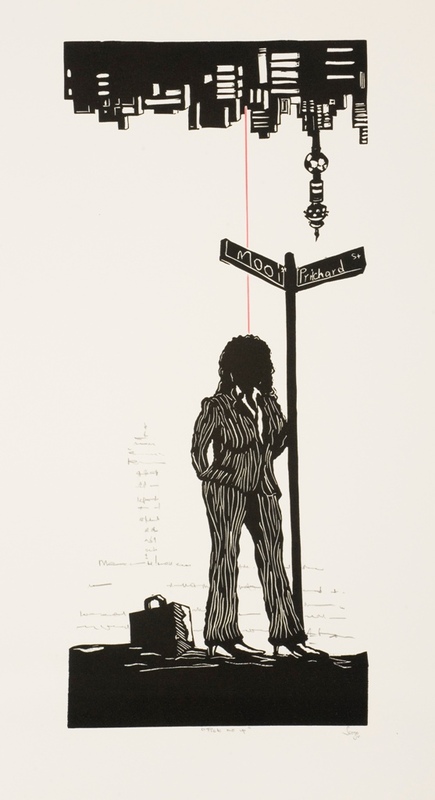 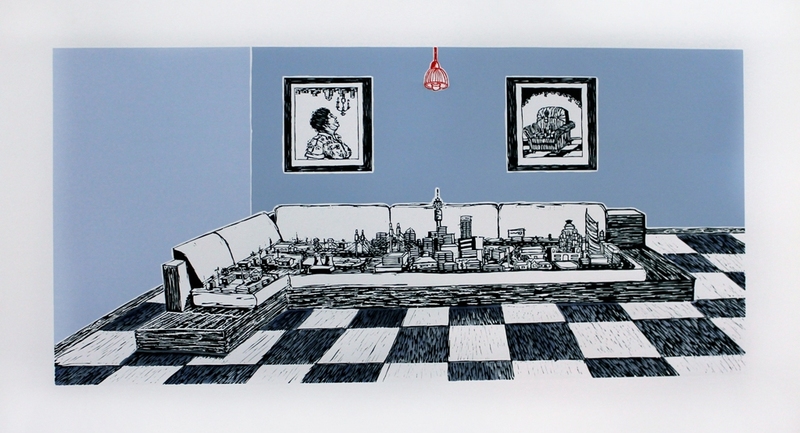 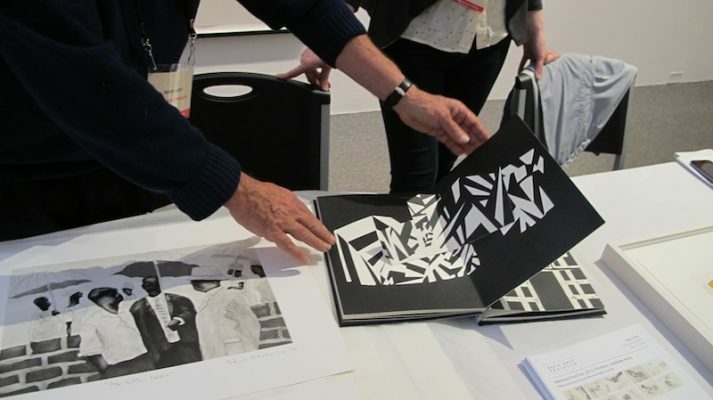 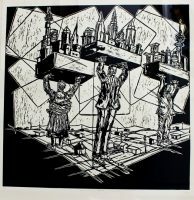 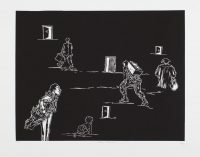 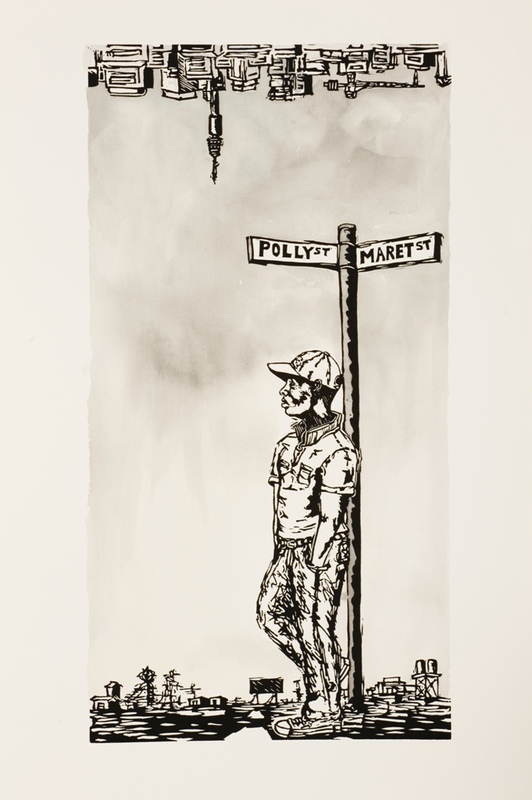 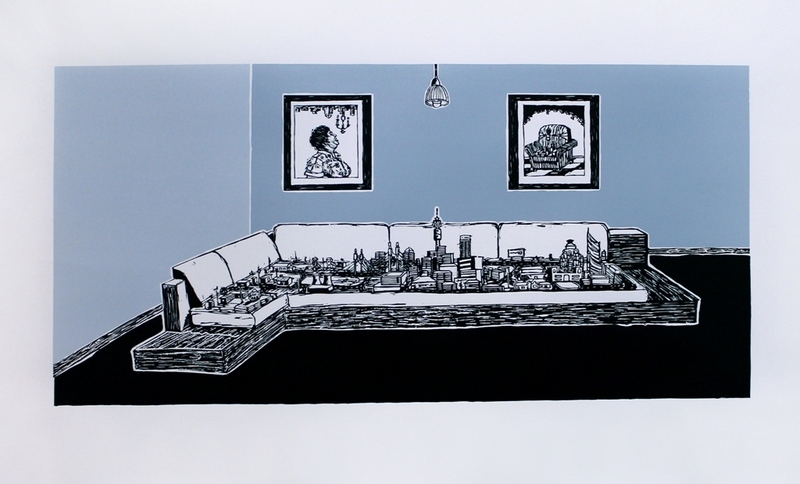 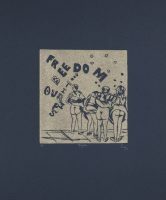 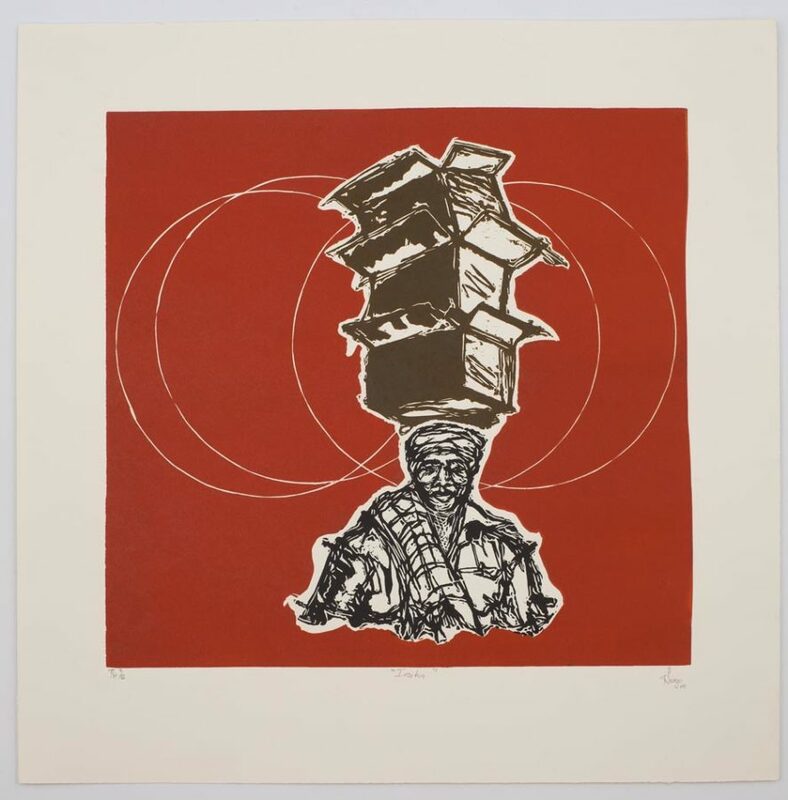 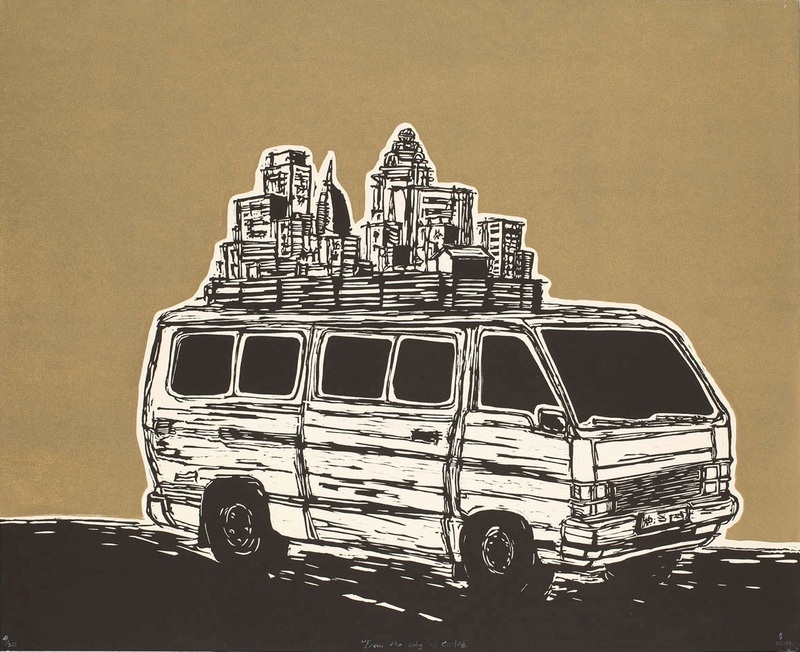 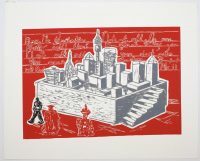 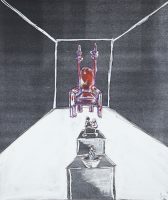 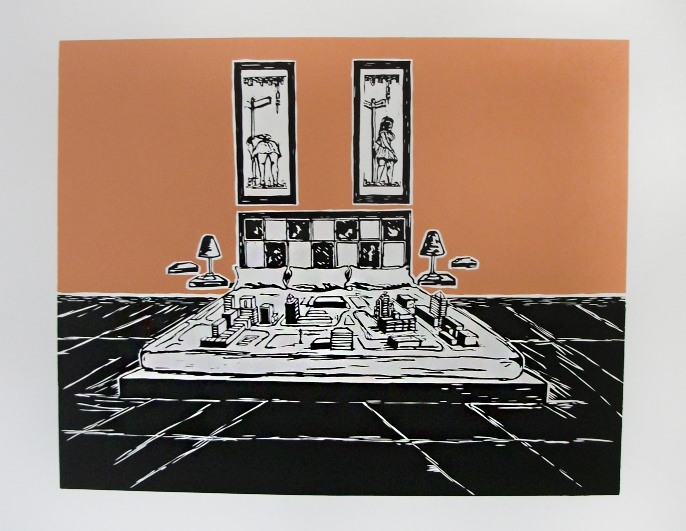 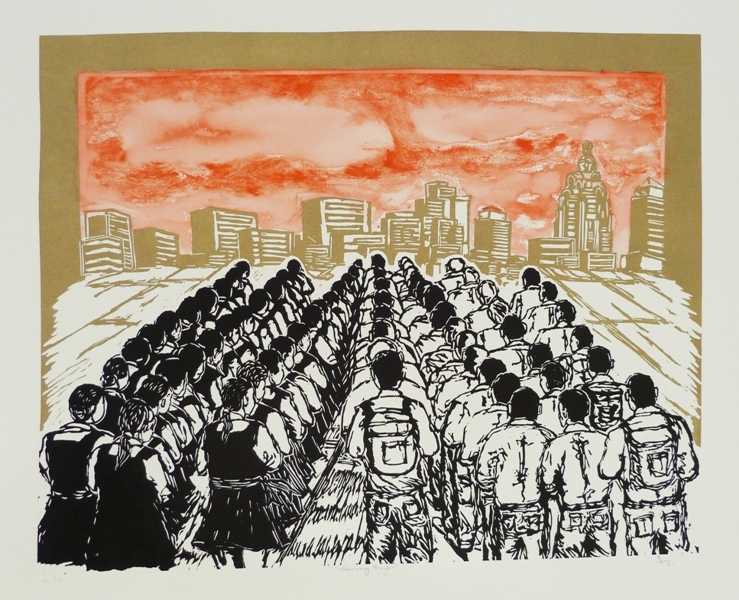 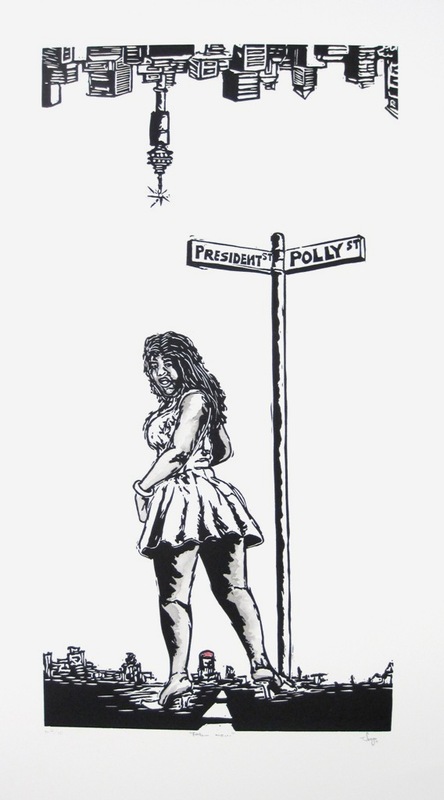 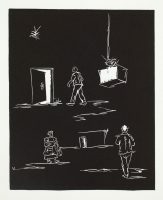 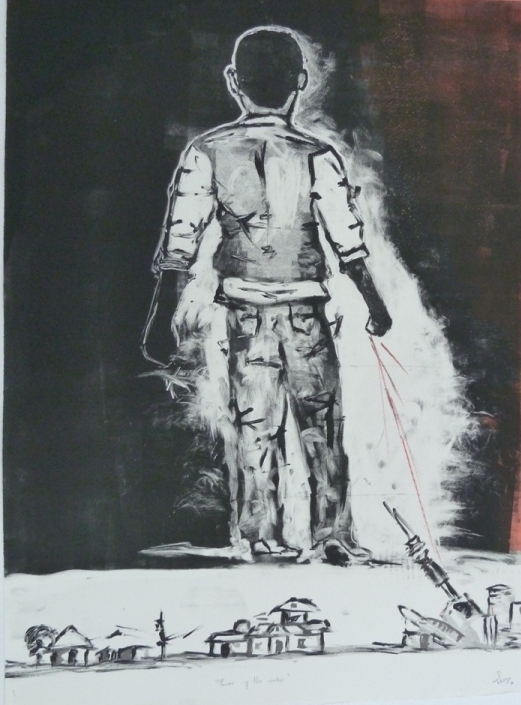 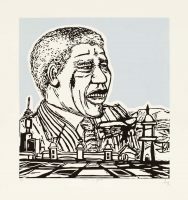 He continued to print at DKW creating new works for his 2012 exhibition Amandla! 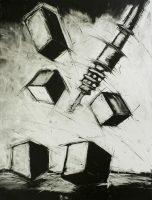 at Arts on Main. 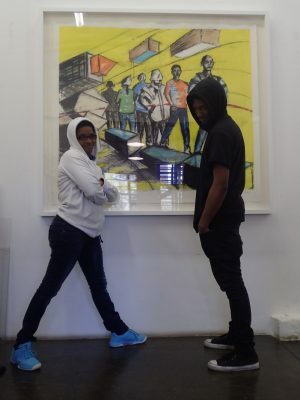 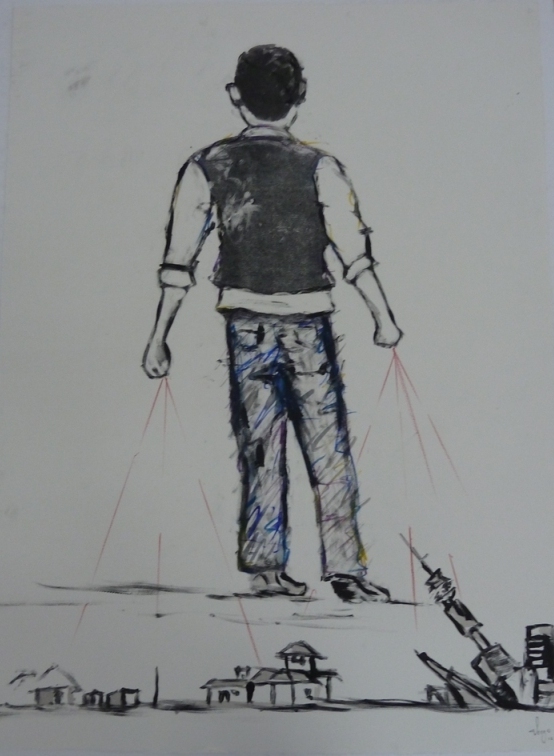 This was followed in 2013 by Obsession, his first show in the main gallery space on Jan Smuts Avenue, as well a concurrent exhibition in Cape Town, titled Recollection: Works on Paper. 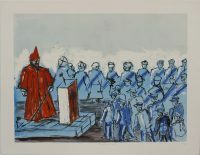 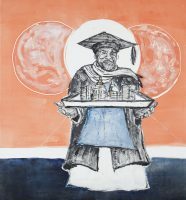 Obsession was inspired by social issues that influence everyday life for those living in South Africa – the media, protest actions, men in robes and judges are the underlying sources of imagery. 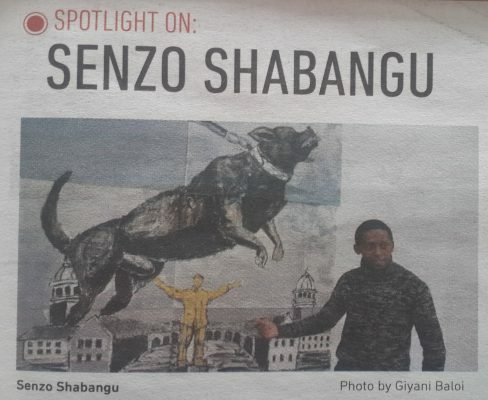 Shabangu continues to work at the DKW on Jan Smuts Avenue and in 2014 worked with master printer Phil Sanders from New York at the Arts on Main studio. 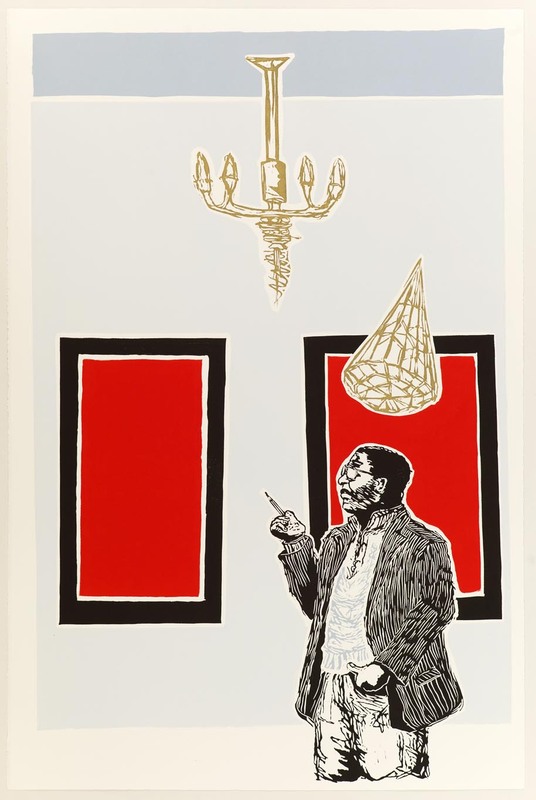 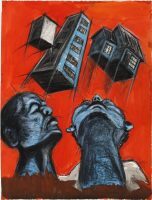 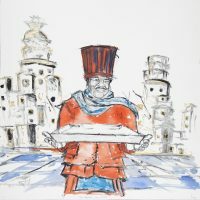 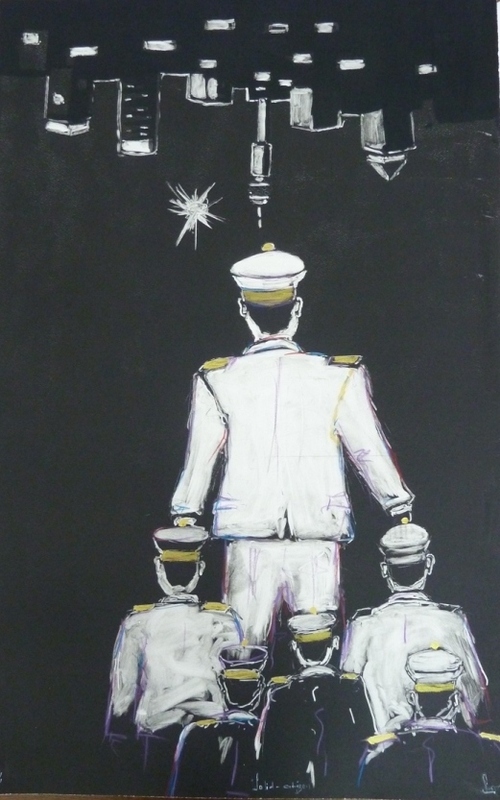 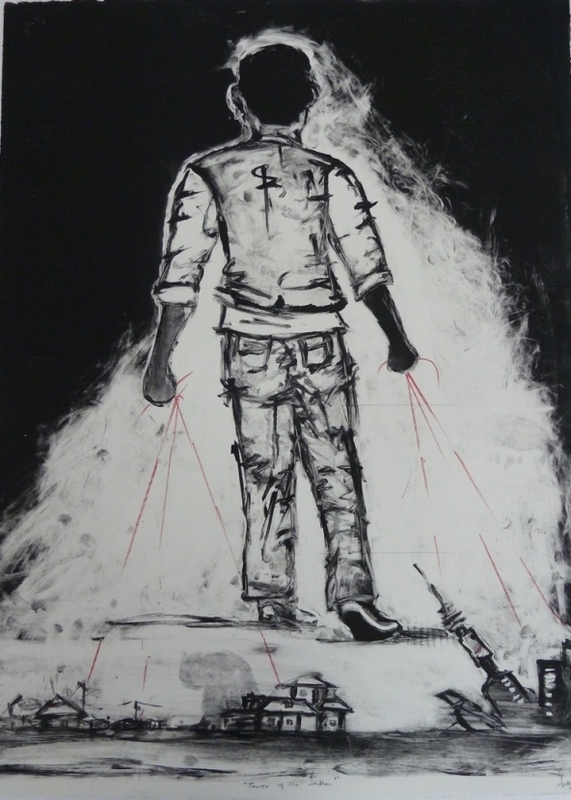 He exhibited two works at the 2014 Johannesburg Art Fair and recent exhibitions include a group show of South African artists in the foyer of Carnegie Hall in New York City as part of the Ubuntu exhibition, as well as the group exhibition The Benediction of Shade II at David Krut Projects. 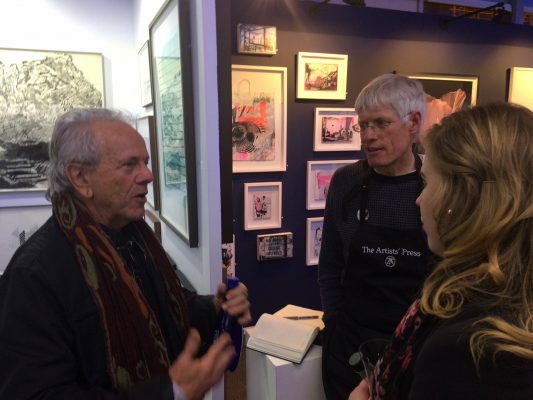 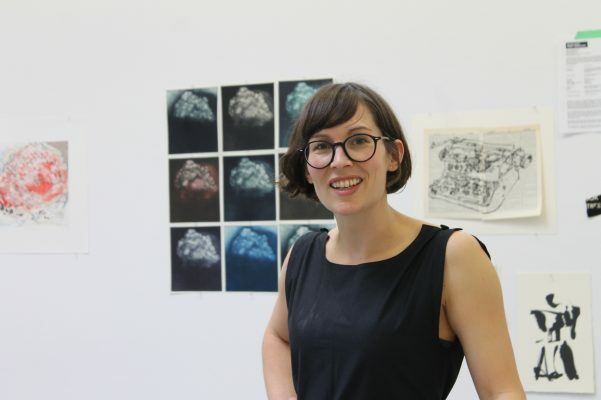 2015’s My World was the artist’s 5th solo exhibition with the gallery. 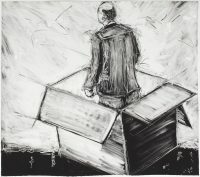 Go to 28 more items.